Look, I’m not saying they’re as quick. Roasting always takes longer than frying, and these take the prep a step further, too. 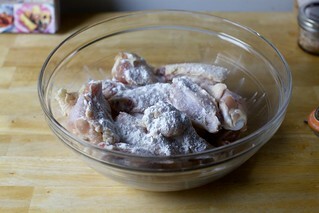 In a technique beloved by both my friend Art Bovino and The Food Lab’s J. Kenji Lopez-Alt, the day before you want to make your wings, you toss them in a mixture of salt (forming a dry brine that locks in moisture) and baking powder (which creates more deeply browned wings and a craggy surface that makes the sauce cling beautifully, reminiscent of deep-fried wings) and spread them out in the fridge overnight (to dry the surface, so they crisp up faster when they roast) and then, before you’re ready to eat them, blast them in the oven at high heat for about 50 minutes. What emerges is truly glorious: browned, crispy, craggy-surfaced, well-seasoned wings that spice-averse children will eat like the best chicken nuggets, ever, and that adults will toss in that butter-hot sauce mixture that makes them magical. Blue cheese dressing, thick enough for dipping, is not optional in my household, and neither are a heap of chopped vegetables (for balance, but also extinguishing tastebuds when you overdo it on the Frank’s RedHot). Despite the overnight wait, these are so easy to make, so delicious and so much less over-the-top than the originals, we’ve made it a regular thing and exactly nobody is unhappy about this. Cooking time will vary by the size of wingettes (wings separated at the joint into drumettes and flats, wingtips discarded or set aside for stock). Some are small enough that you’ll have a dozen per pound; shown here are evidently from poultry behemoths with 6 drumettes to a pound. 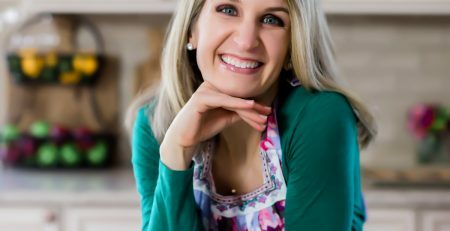 You serving sizes will vary accordingly, too, but a pound per person for a long game isn’t my husband argues, an excessive amount to keep in mind. In fact, he wouldn’t mind a few more. I can fit about 3 pounds of chicken wings on one large sheet tray; any more, you’ll probably need two, which is only pesky as you try to find room for them in your fridge overnight. Line a large baking sheet with foil and set an oven-safe cooling rack on top. I lightly coat mine with nonstick spray, but it’s probably not necessary. 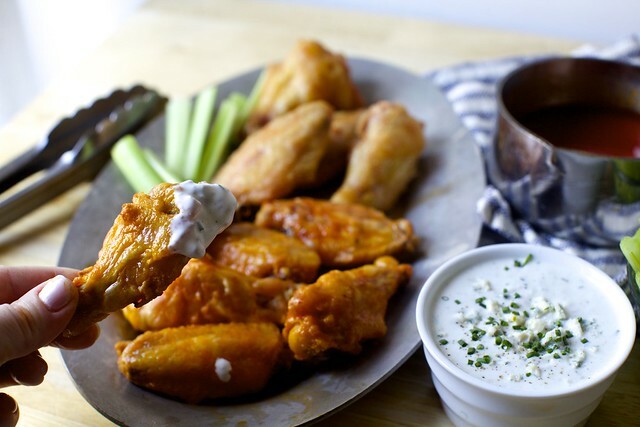 Pat wings dry with a paper towel, and then, in a large bowl, toss them with 1 1/2 teaspoons baking powder and 1 teaspoon kosher salt per pound of wings, until thoroughly coated. Arrange them on the rack with some space between them (the surface will not dry and crisp as well where they touch) and place in your refrigerator uncovered for 8 to 24 hours. When you’re ready to bake them, heat your oven to 450 degrees, with a rack set in the top half of your oven. 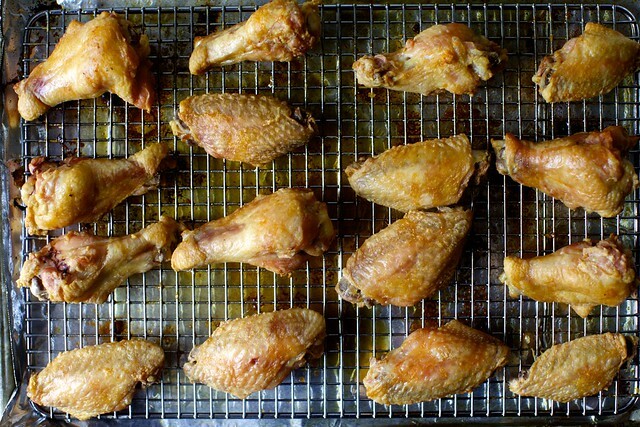 Bake your wings for 20 minutes, flip them with tongs or a spatula, bake them for another 15 minutes, flip them back over again, and then for 15 final minutes, for a total roasting time of 50 minutes. You might need up to 5 minutes longer for larger wings. 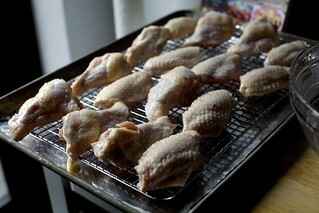 Wings are done with they are browned and crisp. 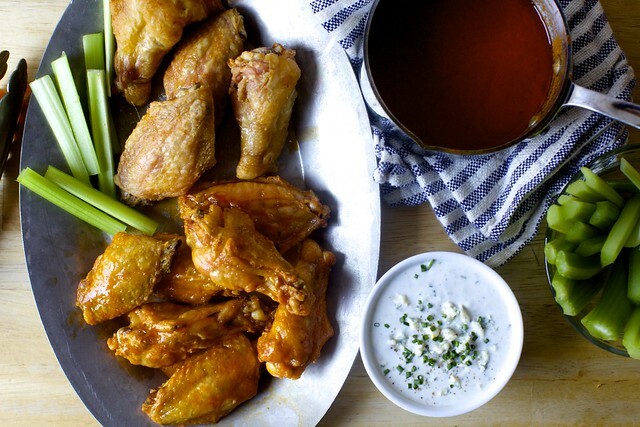 While the wings roast, make Buffalo wing sauce. 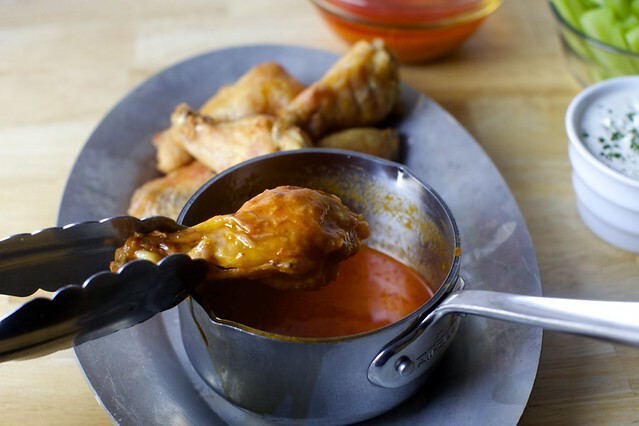 In a medium saucepan, for each pound of wings, combine 2 tablespoons of hot sauce and 1 1/2 tablespoons (for a hotter sauce) to 2 tablespoons (for a mild, more buttery sauce) unsalted butter over medium heat until melted, whisking to combine. Set aside. 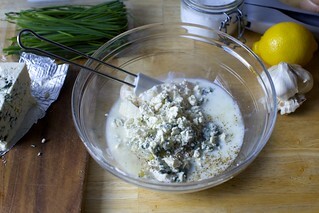 Make Blue Cheese Dressing, if you wish (recipe below) and prepare carrots and celery. 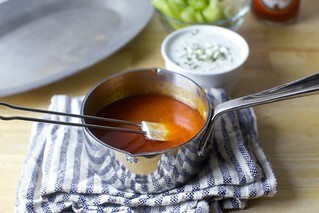 When wings are done, roll each in prepared Buffalo wing sauce. Serve with fixings of your choice. Eat immediately. Combine all ingredients in a bowl and stir until combined, but cheese is still lumpy. Season well with salt and pepper. 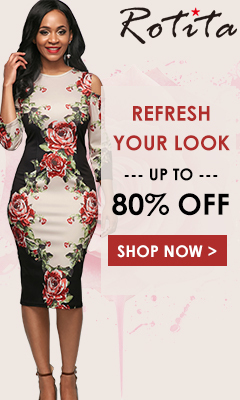 Dressing keeps refrigerated for 5 to 6 days.